Chatrapati Shivaji was an Indian Hindu king and the person who established Hindu Swarajya when Mughals and Adilshahi sultanate was having a command over the majority part of the country. He was born in 1630 at Shivneri fort. During his short life span of 50 years he captured a sizable area of Maharashtra and declared himself as a king in 1674 at Raigad. During the course of his life he fought with many other dynasties like Mughal Empire, Adil Shahi Empire, the Sidds, the British, the Portuguese etc. At many times with his extraordinary negotiation skills and his tremendous courage, he managed to pass those tricky situations. He was a man with ethics and character. He always had a huge respect for women and he also ensured that people in his kingdom would also do the same. 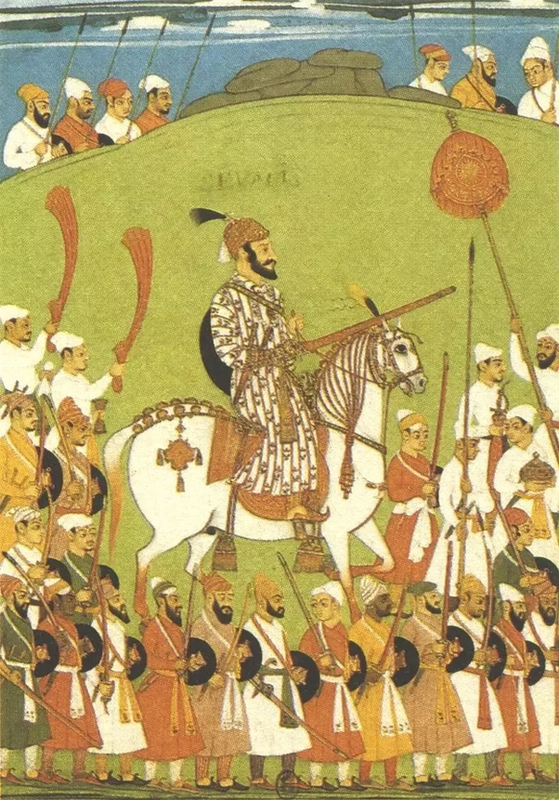 Chatrapati Shivaji was a proud Hindu king and he mentioned this at many times through his letters sent to many of his officials as well as to hindu sardars in Mughal empires. He always wanted to create a Hindu Swarajya. He established a competent and progressive civil rule with well-structured administrative organizations. He revived ancient Hindu political traditions and court conventions and promoted the usage of Marathi and Sanskrit, rather than Persian, in court and administration. Today Chatrapati Shivaji is considered as a national hero in Maharashtra and arguably he has been the greatest historical figure of the state till now. Many books have been written on him till now by Marathi author, English author as well as many people at the time of Shivaji also described him in their letters, travel books etc. Undoubtedly, Shivaji is the greatest inspiration to many people in Maharashtra due to his many qualities. Though there are number of qualities of Shivaji to be shared but here are 5 importance qualities/things that every person in India should learn from him or try to inculcate those within themselves to be a better person. 1. Leadership - It is very difficult to manage people from various background for a good number of years and taking them together with you and build an Empire. Shivaji did the same for almost 40 years and was successful in creating a Hindu swarajya. 2. Respecting women - Right now this is the most important thing we should learn from him if we look at the rising number of rapes in our country. Shivaji was very strict about respecting women and he expected all people from his kingdom to do the same. Those who tried to misbehave, Shivaji ensured that the got the proper punishment. 3. Visionary - This is also a most important quality of Shivaji Maharaj that we should learn. He was a very visionary person. 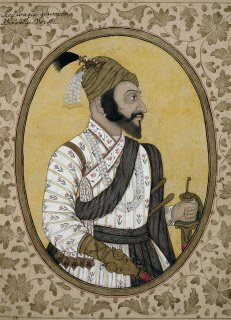 If we take an example of this, during the later period of his life, he captured fort Jinji from the southern part of India which helped King Rajarama when Aurangzeb started his conquest in Maharashtra. 4. Respect his religion, language and god - Shivaji was very proud about his religion and his mother language. One of British commander mentioned about Shivaji in his letter as a 'Commander of Hindu Forces'. He always tried to have Hindu Kingdom. After his coronation ceremony he ordered one of His Pandits to prepare 'Rajyavyavahar Kosh' which will give Sanskrit alternative to many Farsi words used in the official letters. This was his attempt to save the Marathi Language. After Shivaji, only veer savarkar did the same few hundred years later. 5. Fair treatment to everyone - Shivaji gave fair and equal treatment to every single person in his kingdom. He never discriminated anyone on the basis of his cast, financial position. He ensured that those who had a quality get the benefit. There are many other things also which we can learn from his life and his work. Due to all his qualities he will always remain an inspiration for all of us whether young or not.